Supplying you with Dension Hydraulics and Denison Hydraulic Vane Pumps and Motors, Hydraulic Piston Pumps and Motors, Hydraulic Radial Piston Motors and other Denison Hydraulic Equipment and Components. Parker Hannifin, formerly Denison Hydraulics, is a leading industrial manufacturer providing highly engineered hydraulic fluid power systems and hydraulic components. Denison Hydraulics products have a multitude of applications: from mobile equipment used in the construction, demolition, agricultural, mining and utilities industries to machinery used in industrial manufacturing and marine equipment used in both commercial and military sea vessels. 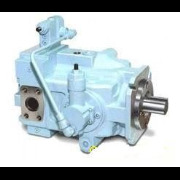 Denison Hydraulics manufactures a full range of hydraulic piston pumps. 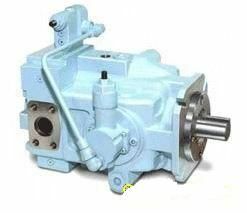 These specialized hydraulic pumps operate at pressures as high as 7,250 pounds per square inch ("psi") and vary in size from 0.9 cubic inches to 38.9 cubic inches, and in displacement from 11 to 303 gallons per minute ("gpm"). They are well-known in the hydraulics industry for their large-size hydraulic piston pumps, offered under their Gold Cup and Premier Series. Denison Hydraulics large-size hydraulic piston pumps are distinguished by their proprietary "barrel-bearing" design, which enables their pumps to run in stable conditions at high speeds and pressures. Their sturdy hydraulic piston pump construction results in a longer life cycle in severe duty applications such as heavy mining equipment and aircraft carrier steering systems. • Gold Cup series hydraulic piston pumps for closed and open loop circuits: P6, P7, P8, P11, P14, P24 and P30. • World Cup series hydraulic piston pumps: P6W, P6T, P7W, P8W and P8T.